Within every woman, there lives a powerful force, filled with instincts, passionate creativity and ageless knowing. She is the wild woman who represents the instinctual nature of women. But she is an endangered species. Clarissa Pinkola Estes, Author of women who run with the wolves. Get back to the sister hood. Spend a day in the woods! Discover some traditional survival skills and become part of a tribe! Spending a day with our amazing instructors and practicing survival skills. Such as shelter building, water purification and fire lighting. As well as, foraging for wild foods and maybe even making our own bow and arrow or animal trap! Furthermore, its all about the outdoors and empowerment. Including a delicious homemade afternoon tea with a glass of prosecco and finishing off with an hour of mindfulness. Mindfulness, to reinforce confidence, focus and relaxation! 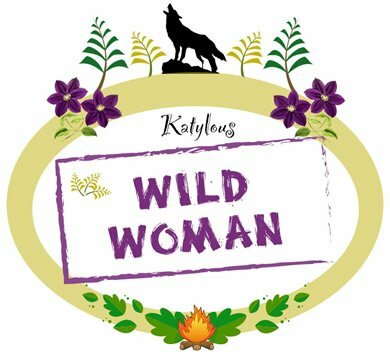 Just click the button below and select “Forest School” our Wild Woman Days class timetable can be found there. We also provide corporate days, private parties, hen or stag nights, family camps, and bushcraft and survival sessions. For more information please see our Bushcraft and Survival and Corporate Days pages. To book corporate days, sessions, events, wild woman days or private parties, please click here to Contact Us and fill our contact form. Alternatively, please feel free to email us at info@katylous.co.uk or on call 07841 159684.